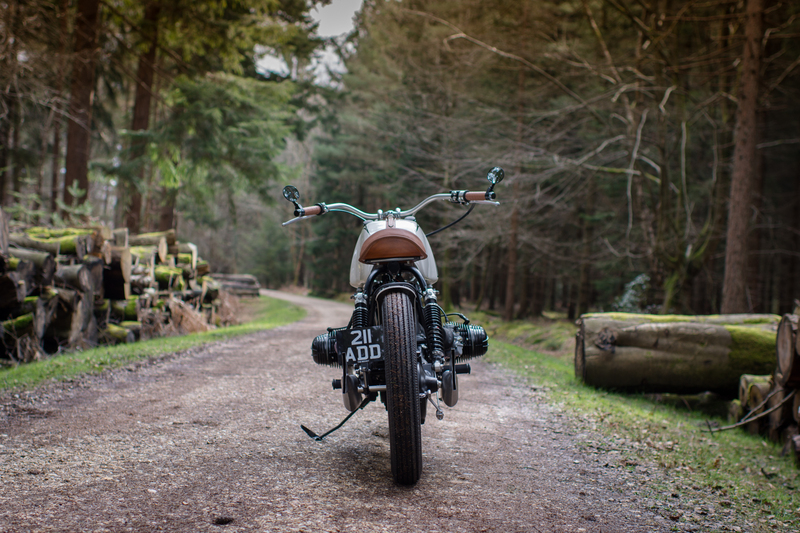 We have history with Pete Hodson from Side Rock Cycles. Not only was he the star of our last Jimmy’s Iced Coffee RideClub Reportage video, he also chose our First Birthday Bash as the platform to launch the bike you see before you. 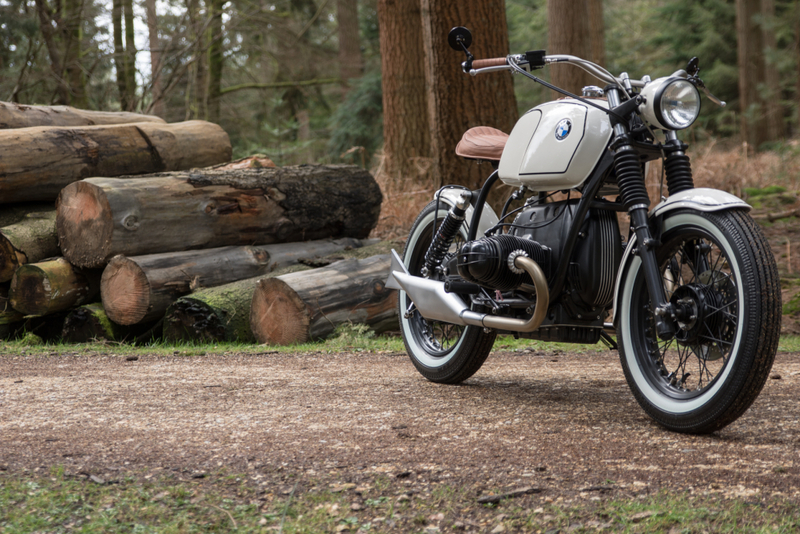 As a result, it would be the height of rudeness to turn down his offer to shoot The Rocket, his staggeringly beautiful 1978 BMW R80 Bobber concept that will be featuring in this year’s Bike Shed London show. According to Pete, the bike gets its slightly strange moniker (seeing as it’s a bobber and all) thanks to his client Ron, who has enjoyed being the proud owner of the nickname ‘Rocket Ron’ for some time now. 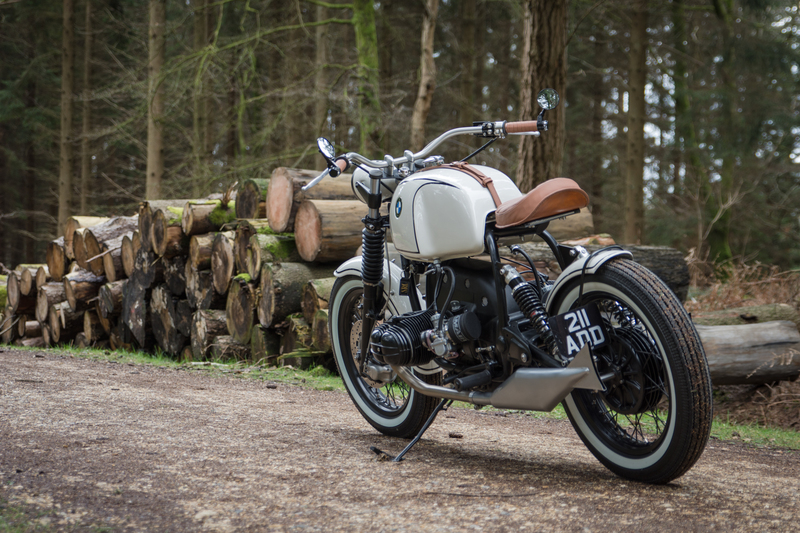 “Ron wanted this build to be a bit special, a bit different and a bit old school,” says Pete, who goes on explain that the stunning exterior colour was chosen from a Dulux household paint range and matched to an automotive hue. 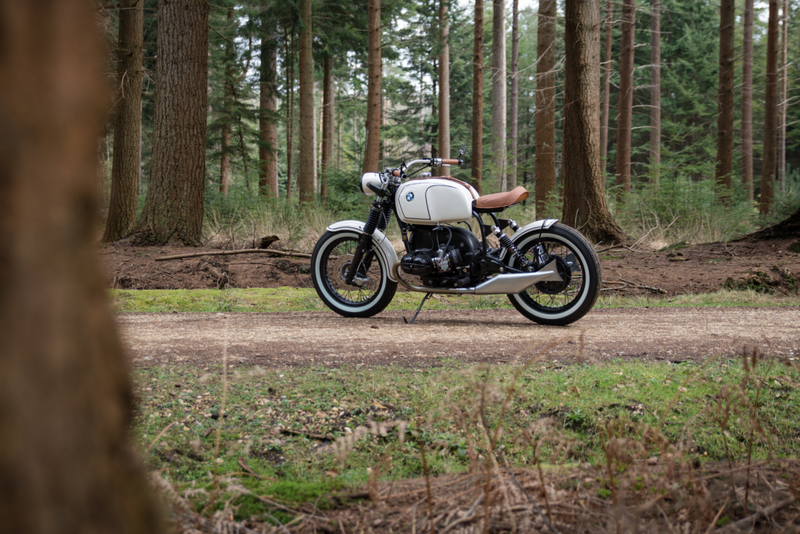 “There is no subframe on this bike, so before the complete strip down could be done, I had to fabricate of the new laid-down shock mounts, extending the main frame spine and matching oval tube for the single seat mount and new rear mudguard stays, which have to move with the swinging arm,” says Pete. “With that done, the frame was de-tabbed of all unwanted brackets and sent off for blasting and powder coating in satin black,” he adds. Pete specialises in BMW ‘airhead’ models, so this engine received the typical Side Rock treatment of a complete strip down, refreshed with a new timing chain kit, seals, clutch, a new lightweight and more powerful starter motor and digital electronic ignition. While photographing the bike, Pete exclaims that the engine is practically like new, and that he had to take it on a long run just to bed the new parts in, but we think he just needed an excuse to ride the thing. “To live up to the Rocket name more grunt was required,” says Pete. “So the old 800cc barrels and pistons were junked in favour of a 1000cc Siebenrock Power kit, which comprises new lightweight, Nikasil lined alloy barrels, lighter short skirt high compression pistons and stainless pushrod tubes. “These teamed up with bigger Mikuni carbs and Ram Air filters give a significant increase in performance. Around 30 per cent, and you can really feel it!” he adds. Look closer and there are a number of technical highlights that push this retro nod into the 21st Century. 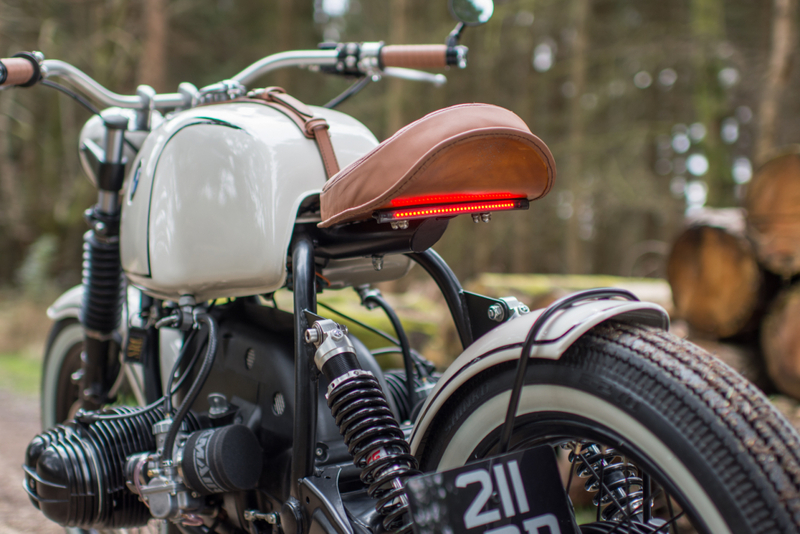 The period headlamp was fitted with an incorporated GPS speedo and a range of LED warning lights. On top of this, up to date electronics were added, meaning a full Motogadget kit was fitted that includes a neat LED strip that combines stop, tail and indicators into a single unit under the leather seat. 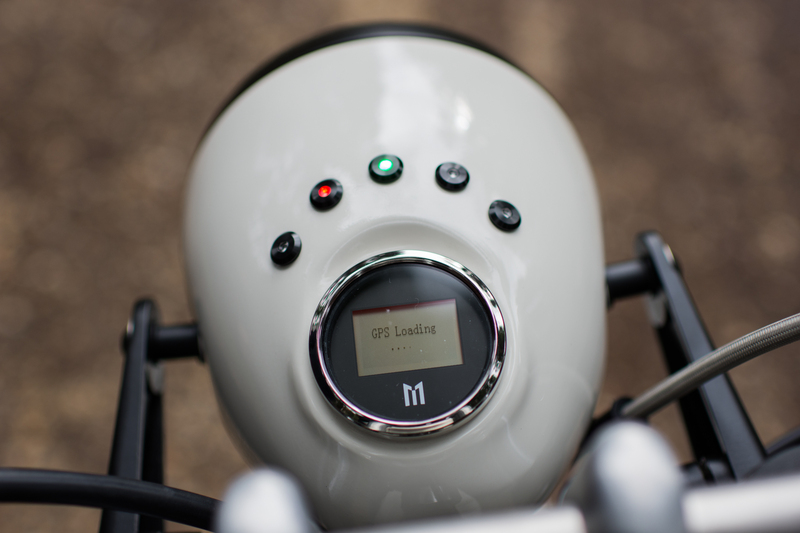 The bar-ends also pack built-in Motogadget indicators, which require far less messy wiring than the original loom, allowing for a much cleaner exterior presence. Finally, Pete claims that a set of Side Rock stainless pulled-back beach bars were made and coated, which complete the look and give the requisite, relaxed riding position. “A decorative tank strap and grips in the same tan leather were made to Ron’s requirements and in my opinion, look great,” says Pete. 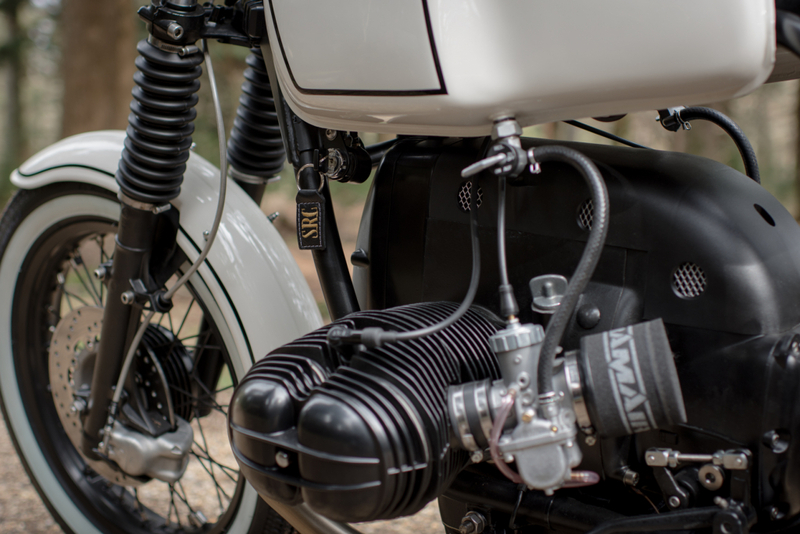 “And of course, modern silencers just wouldn’t cut it with this bike, so ‘fishtails’ were the order of the day and I paired these up with custom stainless headers for a unique soundtrack,” he adds. 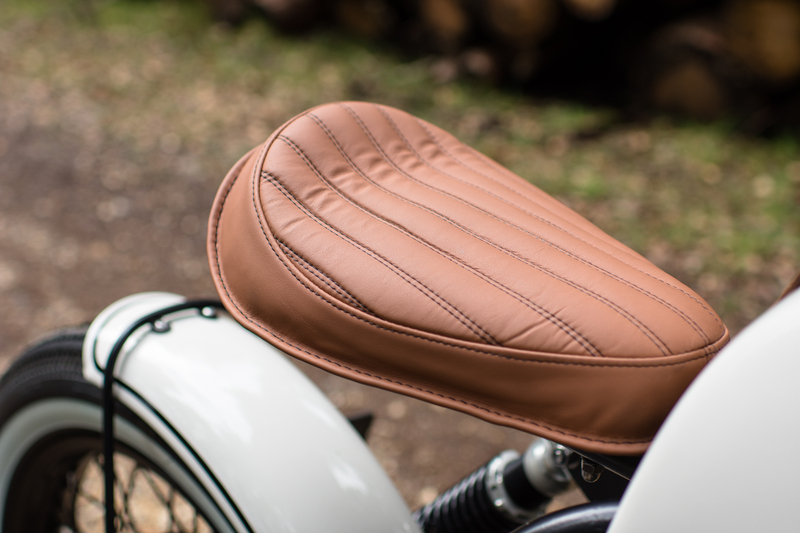 Custom cool with Triumph's quality craftsmanship. What's not to like?